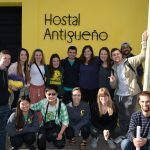 The Lundquist College Business Honors Program took its sixth annual alternative break trip to Guatemala during the week of spring break in late March 2017. The program partnered with Where There be Dragons, an experiential learning-based organization, to expose students to cross-cultural education, global citizenship, and opportunities for individual growth. Eleven students from the program—led by Honors Program director, Deb Bauer—participated in the trip and engaged in extending their learning outside of the classroom. 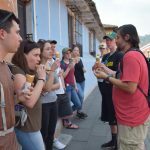 The group travelled to Antigua, a UNESCO world heritage site, as well as various communities around Lake Atítlan, where the group was able to experience local Guatemalan culture. For four nights of the trip, students stayed with host families in San Lucas Toliman. Living with host families proved to be a very challenging, but also a rewarding experience for all. 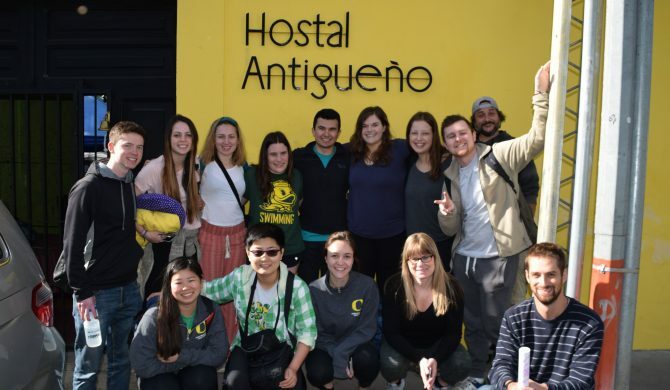 Many students didn’t speak Spanish, but learned to communicate in other ways and made meaningful connections with their host families by cooking together, playing games with their host siblings, or spending time together in the evenings. 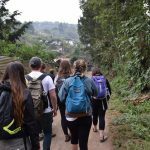 The group spent their days visiting various organizations and individuals in the community where they learned about traditional Mayan culture, Guatemalan history, sustainable agriculture practices, and the current social, political, and economic challenges that the people of Guatemala are facing. The group spent a number of days with the Mesoamerican Permaculture Institute (IMAP), a non-profit organization dedicated to teaching local Guatemalans how to incorporate sustainable agricultural practices and traditional Mayan agriculture techniques into their daily lives. IMAP serves communities around Lake Atitlan and is dedicated to promoting food sovereignty, community development, and the preservation of local biodiversity and ancestral knowledge. With IMAP, the group learned about Mayan cosmovision and engaged in hands-on projects, including introducing new plants into a community garden. Overall, the trip was a great success, allowing students to interact with local Guatemalans and learn about a new culture. Expanding our knowledge of the world around us is an invaluable lesson that the future business leaders in the Honors Program were able to experience. Story by Amanda Gonzales ’17. Gonzales is an accounting major minoring in Spanish. She will spend this summer working as an audit intern with Deloitte in their Portland office. Gonzales will graduate in the fall of 2017.